TankScan® wireless tank monitoring lets you check fluid levels in multiple tanks, across multiple sites, all from your computer or smartphone. You'll get real time access to data you can use to reduce your costs, improve your efficiency, and expand your customer base. Learn more. ALREADY HAVE TANKSCAN? LOGIN NOW. As a pioneer in the field of hazard liquid storage and dispensing, U-Fuel has designed and tested more types of fuel systems than any other company in the world. U-Fuel has over 20 United States and international fuel system patents including the patent for testing nuclear resistant fuel tanks. Incorporated in 1987, three years before Underwriters Laboratories adopted criteria for aboveground secondarily contained fuel tanks, U-Fuel developed many concepts that are now industry standards. U-Fuel licenses companies in America and around the world to use its fuel technology. Many countries have adopted U-Fuel Standards as part of their regulations to protect the environment and insure public safety. U-Fuel products are primarily used for equipping automobile fuel stations, airport fuel facilities, and marine fuel ports; fueling commercial fleets; and transporting hazardous liquids. With U-Fuel’s impeccable reputation for quality and safety, their fuel products are widely accepted and used by the United States government and thousands of companies throughout the world. Most major petroleum companies (i.e. BP, Conoco Phillips, Exxon Mobil, PetroChina, Sinopec and Shell) and most major shipping companies (i.e. 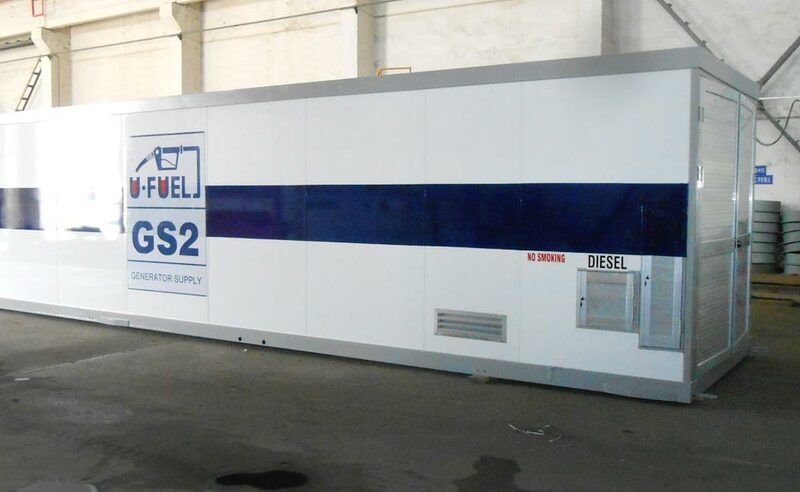 DHL, FedEx, and UPS) have chosen to use U-Fuel Portable Fuel Stations. Website design and hosting by First Net Impressions.